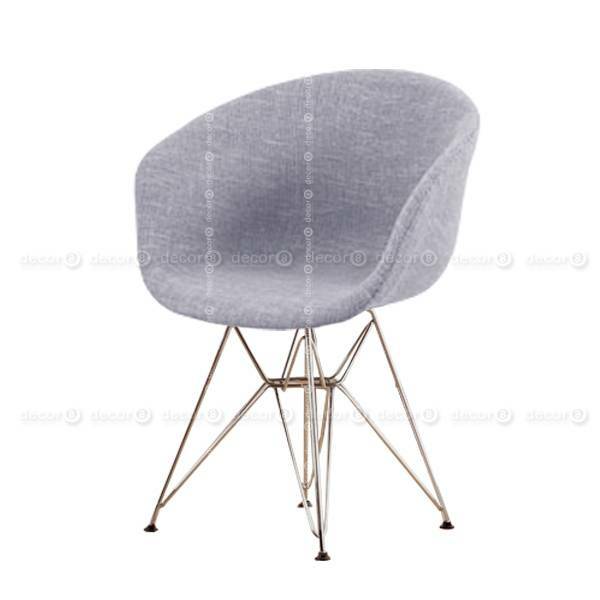 The Decor8 Eiffel Walken Upholstered Fabric Dining Armchair features a moulded plastic seat with premium fabric upholsterey and eiffel style metal legs. Seat fabric available in charcoal grey or light grey. Perfect for modern interiors, luxury and avant garde dining spaces. This chair is not stackable. Recommended for residential, retail and commercial use.